On September 4, with Safelite Group, Inc. v. Jepsen, the U.S. Court of Appeals for the Second Circuit made an important contribution to the jurisprudence of compelled speech (an area of growing disharmony in the federal courts, as we’ve noted recently). The court unanimously struck down a Connecticut law that permitted certain businesses to promote their auto-glass repair services only if they mentioned the similar services of their competitors. The Law at Issue. The Petitioner, Safelite Group, is an insurance claims management company that owns and operates a Connecticut affiliate, Safelite Auto Glass. If auto insurance companies direct Connecticut drivers with auto-glass claims to Safelite, Safelite can recommend (but, under state law, cannot require) Safelite Auto Glass to do the repairs. When it does so, Safelite voluntarily discloses its ownership interest to the insureds. If insureds cannot or do not want to utilize a Safelite Auto Glass shop, Safelite recommends another shop that Safelite has pre-approved. Unaffiliated Connecticut auto-glass shops took their complaints about Safelite’s “unfair” practices to the legislature, which in May 2013 adopted a law that in part prohibits insurance companies or their claims administrators from mentioning their affiliate repair shops unless they also reference a competitor. First Amendment Challenge. Safelite sought a preliminary injunction against Connecticut’s enforcement of the law, arguing in federal district court that the compelled speech requirement abridged its First Amendment rights. The district court denied the injunction, holding that the mandate simply required disclosure of factual, uncontroversial information that does not offend the company’s First Amendment freedoms. 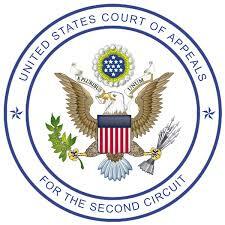 Second Circuit Reversal. The appeals court, in an opinion by Judge Ralph Winter, held the district court had abused its discretion, and remanded the case with instructions that it enter a preliminary injunction. The type of speech the Connecticut law compelled, Judge Winter noted, was decidedly different from the laws scrutinized in other federal court cases involving “compelled commercial speech.” In Safelite Group, the law mandated disclosure of information not about Safelite’s service, but its competitors‘ service. Such a law, the court wrote, “is a very serious deterrent to commercial speech,” which must be reviewed under the heightened scrutiny of the Supreme Court’s Central Hudson decision. In light of the Connecticut legislature’s clear protectionist intention in passing the law, the court pronounced itself “skeptical” that the state’s claimed interest in protecting consumer choice was “genuine.” But the court did not reject the law on the grounds that the professed interest was not substantial. Instead, it found that because consumers do not benefit at all from the law’s speech mandate, the law failed to advance the state’s supposed interest. The court also held that the law flunked the Central Hudson test’s requirement that speech restrictions be no more extensive than necessary. The law, in fact, was both underinclusive and overinclusive. The Bigger Picture. The Second Circuit’s Safelite Group decision is a welcome development at a time when governments are increasingly disregarding commercial speech rights. It memorialized into First Amendment jurisprudence an otherwise obvious free-market principle: the state must not condition a business’s ability to communicate commercially on its willingness to promote a competitor’s product or service. Unfortunately, the ruling also advanced an incorrect perspective on First Amendment law regarding the proper level of constitutional scrutiny. In discussing the Supreme Court’s Zauderer decision, which involved a law that required the sharing of “purely factual and uncontroversial information,” Judge Winter repeatedly labeled the amount of judicial scrutiny such laws receive as “rational review.” Other courts have also mistakenly characterized Zauderer as dictating this lowest level of all judicial scrutiny. Nowhere in Zauderer does the Court refer to the scrutiny it was applying as “rational review,” and it clearly stated that the government must be advancing a substantial interest even if the mandated speech was “purely factual and uncontroversial.” When applying rational review to laws that don’t implicate constitutional rights, such as economic regulations, the Court does not require government to establish a substantial interest. Even the D.C. Circuit, in its otherwise misguided American Meat Institute v. USDA decision, acknowledged that the Agriculture Department had to prove a substantial interest. The Supreme Court will soon have to clarify its compelled speech jurisprudence, but in the meantime, it’s critical that litigants and courts understand that “Zauderer review” is not rational basis review. Continued embrace of this misconception further undermines a vital First Amendment doctrine and the important protections it affords to commercial speakers.